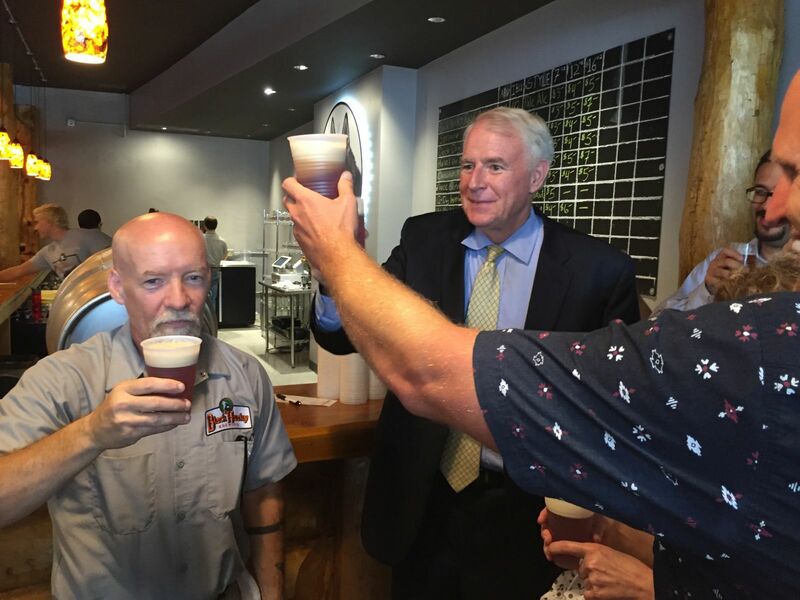 Alderman Nik Kovac, mayor Tom Barrett and brewery co-owner Tim Eichinger toasting to the opening of Black Husky Brewing. Photo taken August 3rd, 2016 by Jeramey Jannene. All Rights Reserved.